Keith Richardson started his career strong. In July 1988, his first full month as a pro, he went 4-1 between single-A Augusta and short-season Watertown. In 35.1 innings, the second gave up just 19 hits, The Washington Observer-Reporter wrote. His ERA came in at just 0.76. He also won organizational Pitcher of the Month honors. Richardson, though, couldn't keep it up. His career ended just two seasons later. He made it to AA, but he didn't make it higher. 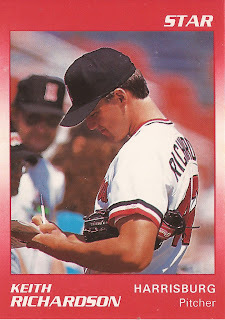 Richardson's career began that year in 1988, taken by the Pirates in the second round, 43rd overall, out of Georgia Southern University. At Georgia Southern, Richardson threw 13 complete games in 1987. He also had team-best ERAs in both 1987 and 1988 and put up 24 career wins. He threw a six-hitter in a March 1987 win. 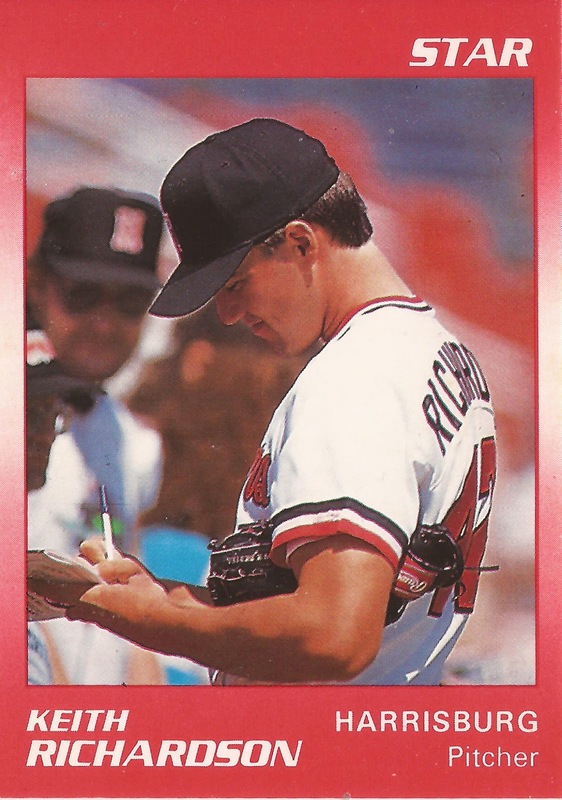 With the Pirates, Richardson started at Watertown, Augusta and single-A Salem. Between them, he went 9-2, with an ERA of 1.03. He returned to Salem for part of 1989, but he spent most of the year at AA Harrisburg. In 21 starts at Harrisburg, Richardson went 8-10, with a 4.59 ERA. That line came after he started at Harrisburg 1-5, with a 7.24 ERA. Richardson returned to Harrisburg for 1990. He got eight starts there, but went 0-6, with a 5.11 ERA. He also got nine starts back at Salem. He went 3-3 there, with a 3.82 ERA. It was his final season as a pro.